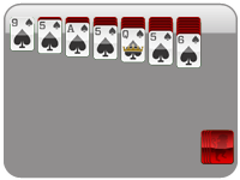 Just like regular solitaire, the goal is to get all 52 cards into the four foundations at the top. Cycle through the deck, three cards at a time, and remove cards to build stacks of cards in the tableau. 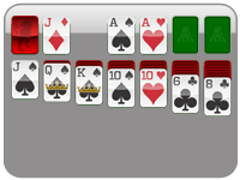 This version is more difficult, because its best to pay attention to the order of cards in the deck as you cycle through them: every time you remove a card from the deck, you rearrange the order of the waste. 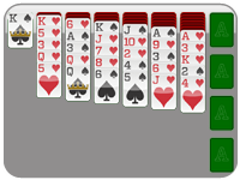 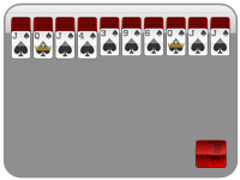 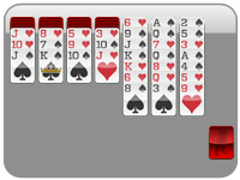 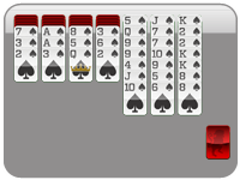 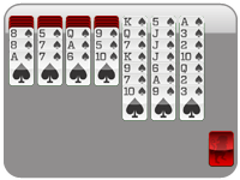 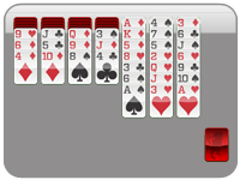 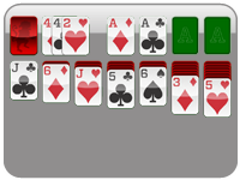 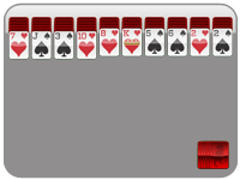 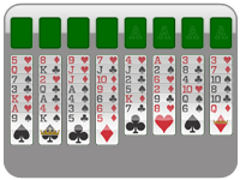 Though the strategy of solitaire is debatable, it is agreed that flipping over the backward-facing cards in the tableau as quickly as possible serves advantage. Not every game is beatable, so experienced solitaire players tend to pick up a "sixth sense" about which ones to just hit "new game" repeatedly until they find a winner.